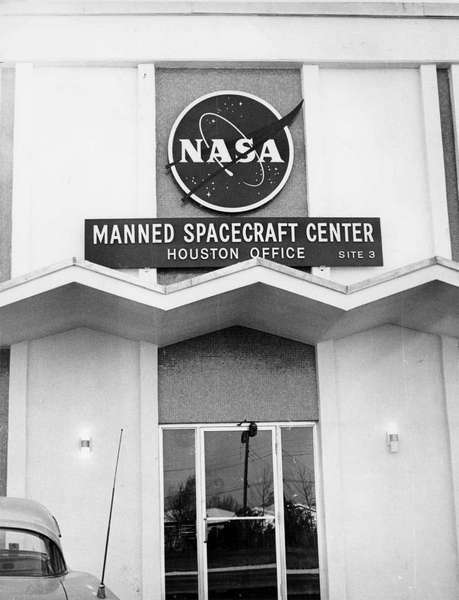 The Original Manned Spaceflight Center - NASA's Interim sites in Houston. Gilruth and other officials of the Space Task Group reacted quickly to the Webb announcement. The very next day they flew into Houston to begin a search for an estimated 100,000 square feet of temporary floor space. 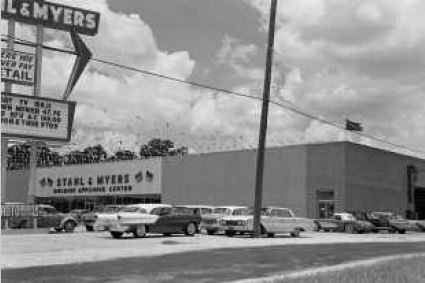 Moving began in October 1961, when Martin A. Byrnes, as the local manager, and a small cadre of center operations, procurement, and personnel employees opened offices in Houston's Gulfgate Shopping City. 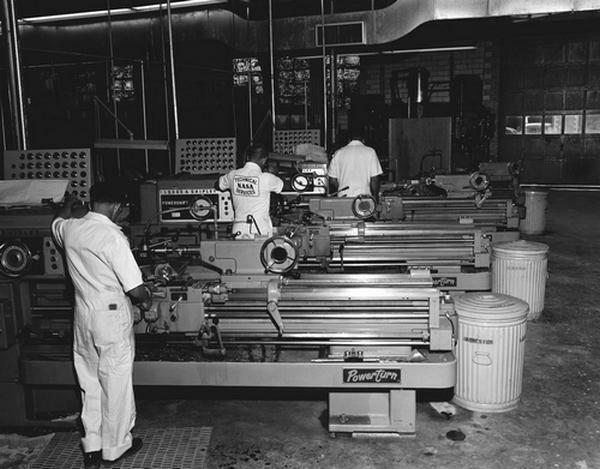 By mid-1962, when the move was completed, activities were scattered in 11 locations, occupying 295,996 square feet of leased office and laboratory space in the vicinity of Telephone Road and the Gulf Freeway. For both old and new employees, a street map was a necessity in the coordination of information among the various offices located in the dispersed buildings. 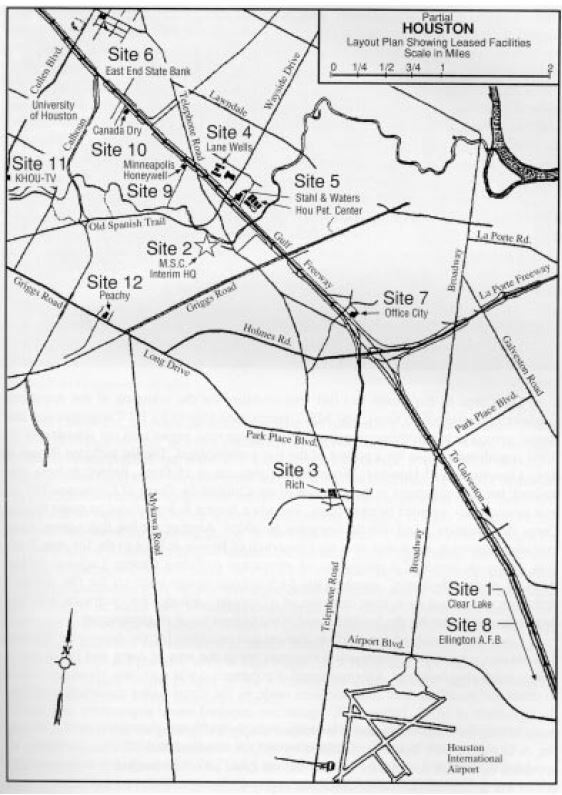 Besides the leased quarters, NASA personnel liberally used surplus facilities..."
Thanks to a lot of input from the contributers over at Collectspace, I believe this is a comprehensive summary of all fourteen (as opposed to the expected eleven) of the interim sites, as they were and as they are now, as of March 2017. 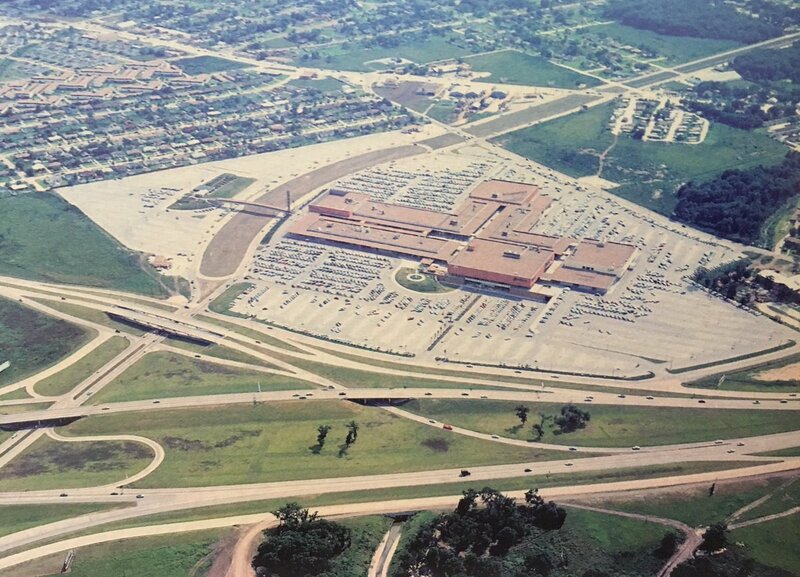 The original location chosen by Gilruth was some spare office facilities at the Houston Office Center located at 6100 Gulf Freeway in the now demolished Gulfgate Shopping City (below), replaced by a Home Depot and the Gulfgate strip mall. Almost nothing of the original site remains - there are some reports that some of the present signs for the mall may be remodelled variants of the signs from the mall's heyday. The smaller signs on Woodridge Drive may be contemporary with the time of NASA's occupation, but the larger "T" sign seems to be a later addition. The construction site for the present Manned Spacecraft Center, at Clear Lake. 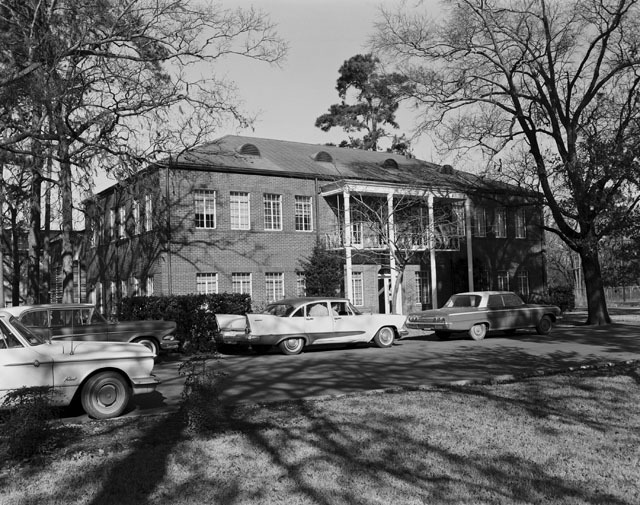 The Farnsworth and Chambers Building became NASA Headquarters in Houston and was located at 2999 South Wayside Drive. 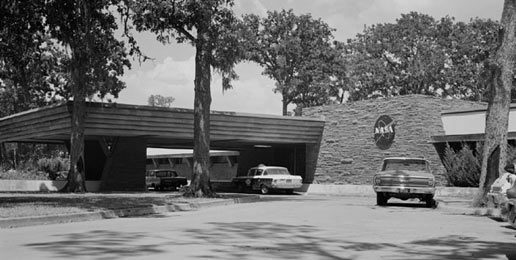 This Frank Lloyd Wright-style building was occupied by Gragg Drilling from 1959 and was renamed the Gragg Building just before NASA moved in. According to Scott Carpenter's book, this is where Deke Slayton would meet with the atronauts at 8am every Monday morning, to divide up the week's taks... It is now the city's Parks & Recreation Department. The Rich Building housed the Space Flight Office, Spacecraft Research Division and Systems Evaluation and Development Division and still exists at 6040 Telephone Road and is now the current AmBox building, a metal fabrication shop. At least some elements of the Technical Services Division were also located here. Lane Wells Building. 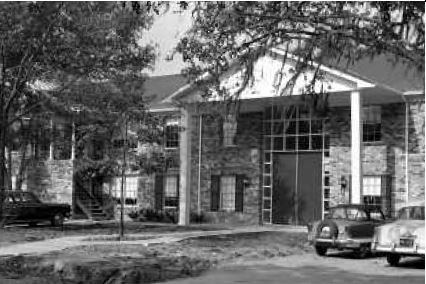 Across the freeway from the Gulfgate Mall location, this building at 2002 Wayside Drive was distinguished by an oil rig out the front (now seemingly long gone) and housed the Life Systems Division. 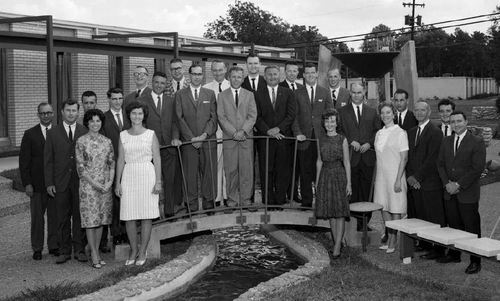 The Houston Petroleum Center and Stahl and Myers Building between them housed the Project Mercury, Gemini, Apollo Flight Operations Divisions and Mission Control teams. 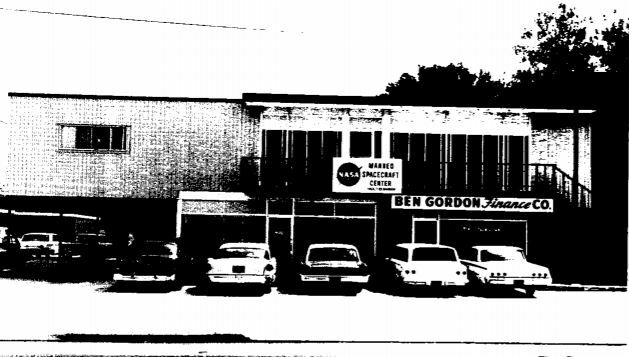 The old Stahl and Myers Discount Appliance Center was opposite Site 4 and shared the building with Oshman's Sports Outlet warehouse, with NASA being located on the upper floor. Both buildings have now gone; the discount center was adjacent to the main road and has been replaced with a large Walmart, set somewhat further back from the road with a grassy area and Mexican restaurant where the old buildings used to be. An old advertising hoarding appears to be contemporary with the old Oshman's site and is all that remains from the NASA era. 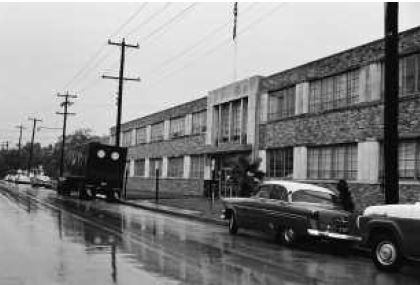 The Petroleum Center was on the site of what is now the Sanchez Charter School, though some buildings in keeping with the style of the old Center remain between the school and the Red Carpet Inn motel. The East End State Bank Building at 4200 Leeland Street housed the Personnel and Security Divisions. The Flight Crew Operations Division was located in two office blocks described as "two dumpy, early 60's low rise office buildings." These two appear to be the Office City buildings on Office City Plaza. The visible Gulfgate Mall sign in the background, across the freeway, highlights the proximity of the two sites. Ellington Air Force Base housed the Procurement, Financial Management, Photographic Services and Supply. There's no access to Ellington, but just outside the base is N930NA, a converted KC-135 "vomit comet", used for zero-G training of astonauts. "Weightless Wonder V" flew almost 60,000 parabolic flighs including the tests for the Shuttle EVA suits and the filming of the microgravity scenes in Apollo 13. It was also used for familiarising new shuttle pilots with heavy aircraft behaviour. 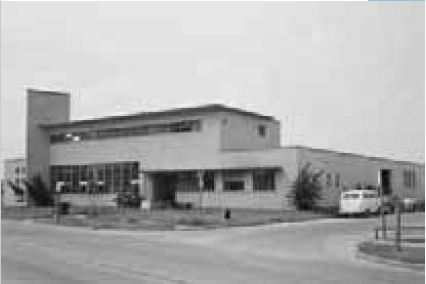 The Minneapolis-Honeywell Building, at 5440 Gulf Freeway housed the Public Affairs Office. 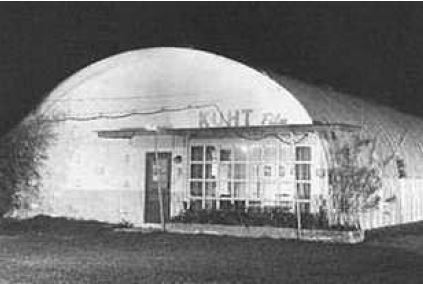 The old semi-cylindrical hut used by the Data Computation and Reduction Division at 4513 Cullen Blvd then became home to the studios of KUHT Channel 8 TV. 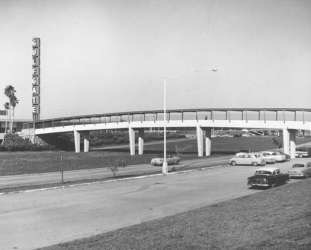 It's now part of the University of Houston, adjacent to (part of?) the Safety and Ergonomics lab. 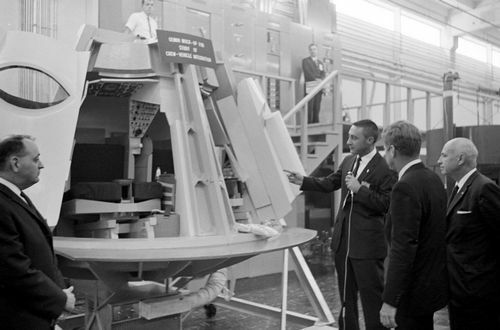 NASA reportedly used four of the six apartment buildings in what was the Franklin Development Complex (now St John's Apartments) at 2504 Beatty Street. The Flight Crew Operations Division relocated from Office City to this site, alongside the Technical Information Division. Veterans Administration Building, 2320 La Branch Street. 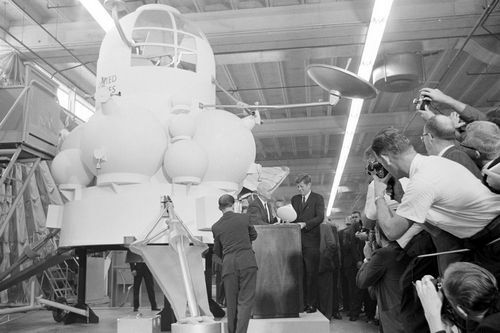 Now houses, amongst other things, a Child Development Center, but back then housed the Gemini Project Office, Gemini Procurement and, later, the Reliability and Flight Safety Office.